1. C: The Fugitive Slave Act of 1850 required that all runaway slaves be brought back to their masters, which led to increased efforts by the Underground Railroad to assist runaway slaves in their escape. 2. B: A population surge in the North caused the South to lose political power over states’ rights issues and slavery. 3. D: The South’s economy was primarily based on a cotton monoculture, not the North’s. 4. B: King Cotton Diplomacy refers to the Confederacy’s failed attempt to use cotton as a diplomatic weapon to force Great Britain’s support. 5. A: German-American Carl Schurz and Norwegian Hans Christian Heg were immigrants who became involved in the abolitionist movement. 6. D: In order to maintain the balance of power between slave and free states, the Missouri Compromise made Maine a free state and Missouri a slave state. 7. C: These territories were acquired by the US after defeating Mexico, bringing into question whether they should be free states or slave states. 8. B: Abraham Lincoln is believed to have said this to Harriet Beecher Stowe, author of “Uncle Tom’s Cabin,” upon their introduction. 9. A: John Brown was hanged following the raid and martyred for his cause. 10. C: In the Freeport Doctrine, Douglas stated that slavery could be excluded from territories through local legislation. This alienated southern Democrats. 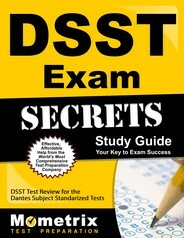 Ace the DSST test using our DSST exam study guide with practice questions. 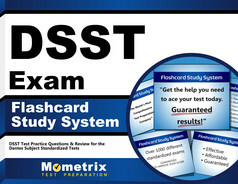 Quickly Solve Difficult DSST Test Questions with the DSST Flashcard Study System.